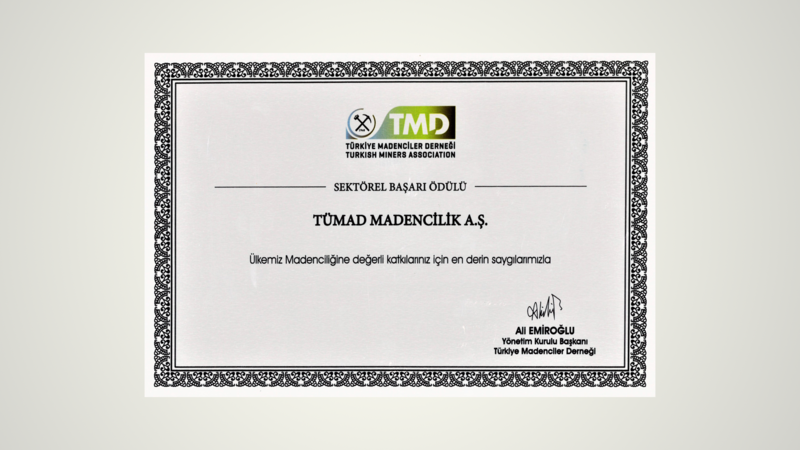 TÜMAD Owner of ‘Sector Success Award’ – Tümad Madencilik A.Ş. 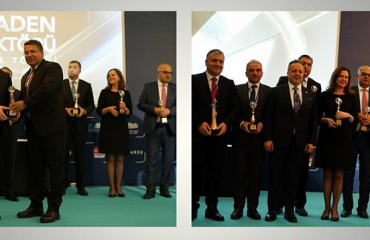 The shining star of our community within the mining sector, TÜMAD Madencilik A.S. has been granted Year 2018 Sector Success Award by Mr. Ali EMİROĞLU, Chairman of Turkish Miners Association Administrative Board, and our company was thanked for its valuable contributions to our country’s mining sector. 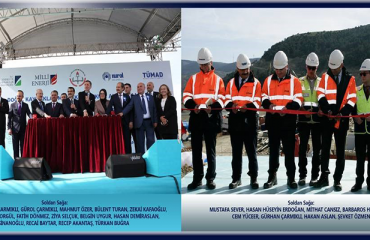 Achieving an expeditious entrance to the sector with its gold mine investments in Çanakkale Lapseki and Balıkesir İvrindi, TÜMAD has become the new power of our country for gold production through its sustainable mining projects where economic development is integrated with social development and environmental preservation and its advanced exploration and production compliant to international standards within the framework of respect towards nature, environment and people. We congratulate all our colleagues who contributed to receiving this award, and we look forward to news of many further awards with excitement at both national and international scale.